Perhaps the most apparent advantage of rapid roll doors is their ability to open and close incredibly quickly. Compared to several other industrial door models available on the current market, these innovative doors function at an impressive speed meaning they can be operated efficiently, enabling your business to run as smoothly as possible at a quicker pace. When doors are opened or closed, it is common for hot or cold air to escape. For businesses who require a temperature regulated environment, this a significant problem. Consequently, those looking to better insulate their premises could hugely benefit from installing rapid roll doors for several reasons. Not only does their quick function help to prevent the loss of warm or cool air, but being tightly sealed on all four sides, they also provide superb insulation when closed, enabling you to reduce your energy consumption and ensure the temperature of your business is better regulated. When working in an industrial environment, it is not uncommon to experience high levels of both air and noise pollution, especially in industries such as agriculture, food and waste where machinery is operated. Another advantage of rapid roll doors is their ability to reduce the impacts of these pollutants, making for a safer and more pleasant work environment for staff. Operating at an increased speed, rapid roll doors can help to control airflow and reduce the risk of contamination, which is crucial for certain businesses, e.g. food manufacturers. Not only can dirt or debris cause significant damage or even spoil particular products, but it can also harm other areas of your business such as machinery, heating or cooling systems. Consequently, installing rapid roll doors will limit the amount of debris moving through your premises, protecting both your products and work environment. 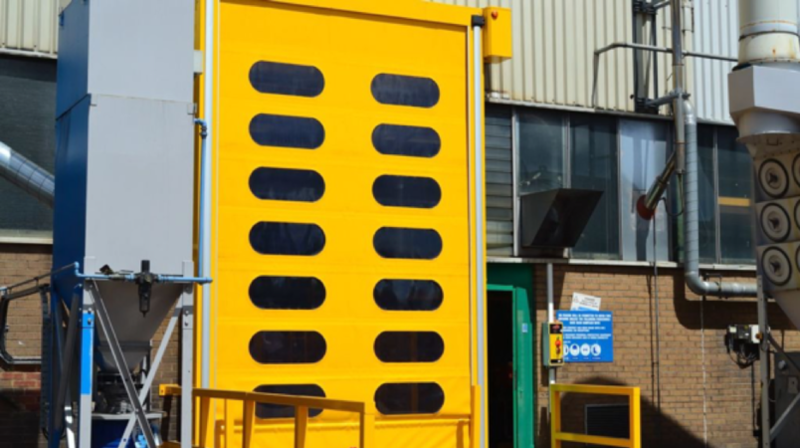 Whether it’s staff, products, equipment or vehicles, rapid roll doors enable the flow of traffic moving through your business premises to be improved as the result of their swift operation. For many businesses, efficiency is key, and goods may need to be moved, packaged and processed within strict time constraints to ensure the needs of customers are met. 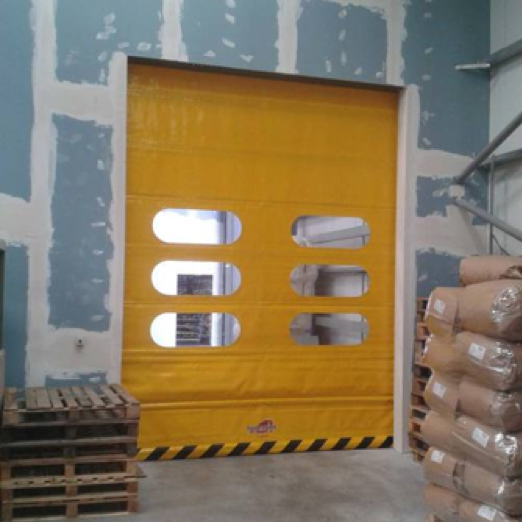 Consequently, unlike other types of industrial doors, rapid roll doors allow quick and easy access meaning productivity is maximised, and a smooth workflow is created. For industrial business owners looking to make their premises more secure, rapid roll doors could be the answer. Functioning at high speed, the swift open and closing of these doors limit the opportunity for thieves to break into your premises as well as the chance for unauthorised staff members to access certain areas. Additionally, both the durability and rigidity of these doors makes them incredibly difficult to penetrate making it difficult for intruders to enter. 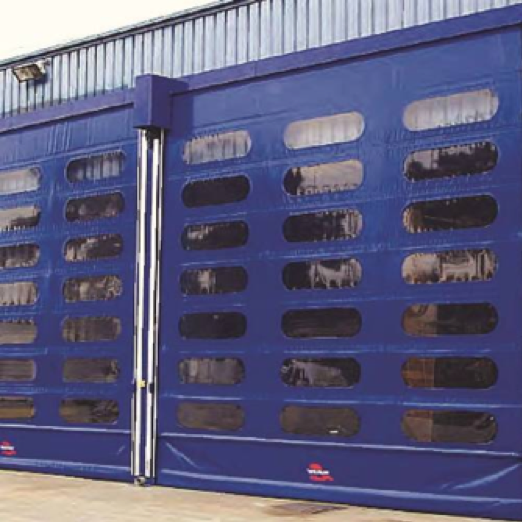 Here at Zenith Doors, we offer an extensive range of rapid roll doors along with several other models of industrial doors in the south west, so why not contact us today? Not only can you get in touch via our online enquiry form but you can also make use of our free site survey to ensure you get the right door for your business premises. Whether you are in search of new doors, door conversions or wish to discuss possible maintenance contracts, we’re always happy to help!